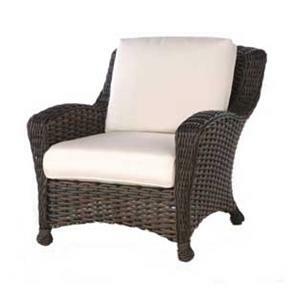 This club chair is a great way to update your outdoor entertaining space or patio. 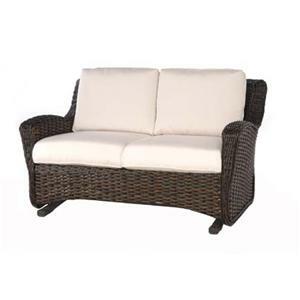 With it's sloped arms and gentle curves this piece has a relaxing and casual style. The six inch seat and back cushions provide a comfortable sit. Create a wonderful place where you can relax alone or entertain guests with this club chair. 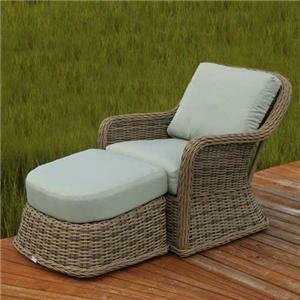 This club chair and ottoman set provides you with a great place to rest while enjoying time outside. Sit back and read a book, take a snooze or soak up some sun all from the seat of this chair and ottoman set. Prop your feet up on the ottoman with a four inch cushion. A woven frame, curved lines and natural color add to the simple look and feel of this set. 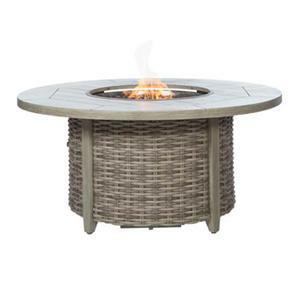 Round in shape with a woven base, this fire pit is a great addition to your outdoor entertaining space. 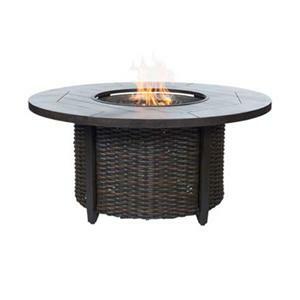 Gather with friends and family to share stories and enjoy time with one another with this fire pit. Create warmth for cool summer nights as well a relaxing ambiance with this piece. 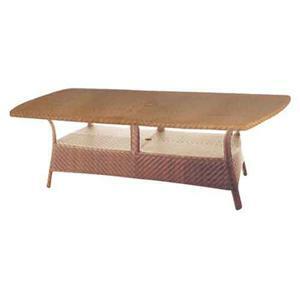 A woven table top and base come together to give you this large rectangular table. Create an outdoor dining space where you can serve a meal while enjoying time outside. Gather chairs around this table for all to enjoy each others company and some fresh air. This table also has an umbrella hole that allow you to provide shade on the sunniest of days. 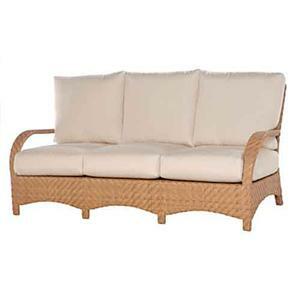 With six inch cushions, this sofa can help you create a comfortable gathering place in your yard. Provide seating that looks great and is comfy with this three seat sofa. The woven frame gives the piece a natural look while the sloped arms and gentle curves accentuate the nature this sofa can be surrounded by. 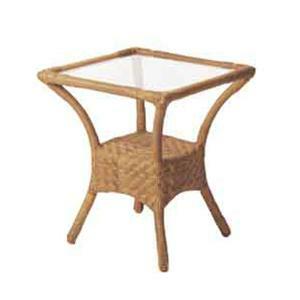 This simply designed outdoor dining side chair is a great seating option around a table. 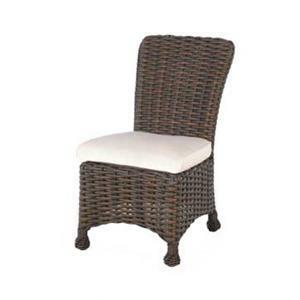 The clean look, woven back and sides as well as seat cushion give this dining side chair its ability to create a wonderful outdoor entertaining space where you can enjoy a meal or drinks with friends and family. This small side table is great for next to your outdoor sofa or between two chairs to create a stylish place to set your drink. The curved sides create a unique look and shape while the in-laid tempered glass provides a sturdy top. Perfect for concealing pool and yard accessories, this chest provides stylish storage for your deck, patio or yard. 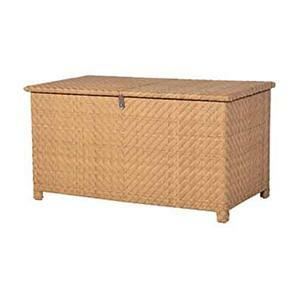 With a latch to keep the lid shut this storage chest is a great way to add stylish storage to your outdoor space. In 2008, Ebel Inc. partnered with Trees for the Future – an organization committed to furthering sustainable agroforestry in developing countries. Since its inception, Trees for the Future has planted nearly 50 million trees – estimated to remove 1 million tons of CO2 from the atmosphere each year. Ebel Inc. has committed to planting enough trees to offset the carbon emissions resulting from the daily operations at our headquarters in Jacksonville, Florida. We have also committed to plant one tree for every piece of furniture produced and have already planted over 85,000 trees.